I am currently trying to “embrace happy” in a bid to focus on all that is wonderful about my life. 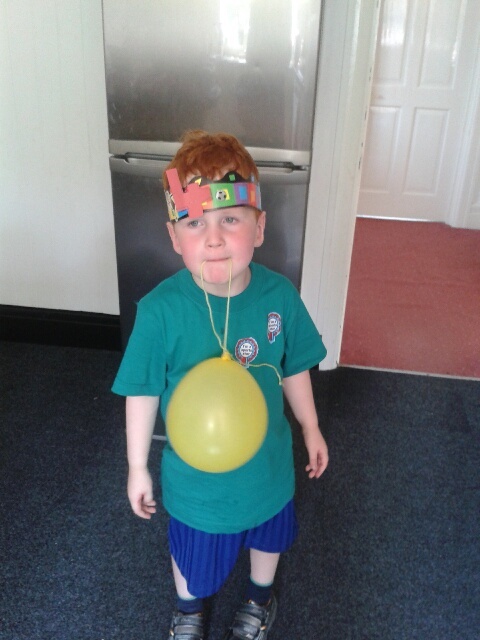 Those who know me probably think this is akin to putting a paper party hat on grumpy cat but I am not daunted! #Embrace Happy – Go On – Have A Go! Others are writing their lists of happiness and here is mine. It probably contains a hefty amount of “odd & weird” but, as the late Queen Mother once said of her wrinkles, “I would hate to have lived so long without anything to show for it”. 1. Words – particularly the clever use of words and those who use them. Step forward Stephen Fry, Steven Moffat (the writer of BBC’s Sherlock”) and Richard Curtis (“Blackadder”). How can you resist “I tweak the nose of fear and put an ice cube down the vest of terror”? 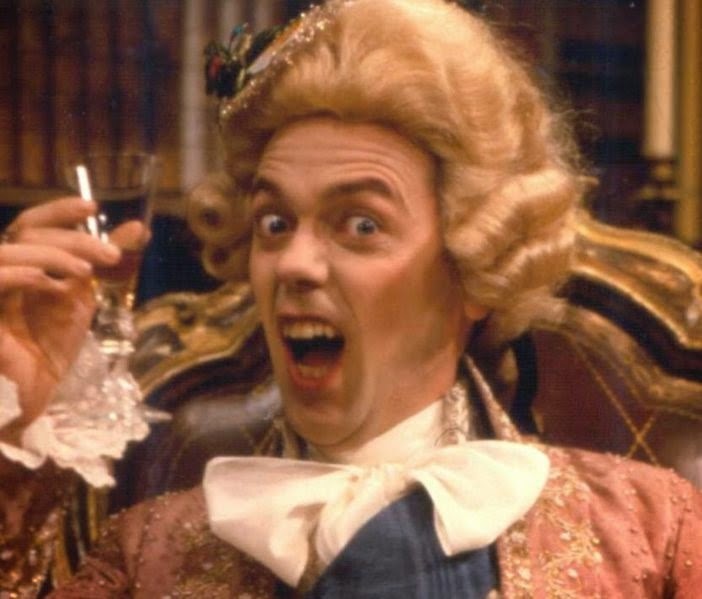 (the wonderful Hugh Laurie as Prince George). 2. Self help books. I’ve read many – from Tony Robbins to the Abraham Hicks books. I love anything about the Law of Attraction and ‘pop’ Quantum Physics. I suspect some of the latter aren’t quite accurate and when I interrogate the Husband on the subject, he usually just shakes his head and sighs. 3. Cookery books. I’ve decided the amount I cook is inversely proportional to the number of cookery books I have. I have The Hairy Bikers (complete set), Lorraine Pascale (signed! ), Marco Pierre White (signed! 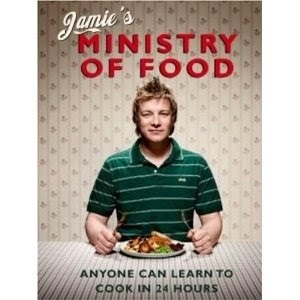 ), Gordon Ramsey, Jamie Oliver, Madhur Jaffrey, Ainsley Harriott and a million books on cooking for kids. Well, not quite everyone it turns out…..
4. Martha Stewart. Now I know Martha might have conceivably been a bit of a naughty girl of late, however, her guide to entertaining is a thing of beauty, not least for the stunning photography. I also have her guide to Halloween which involves making life sized witches and cats out of balsa wood and putting them in the garden. 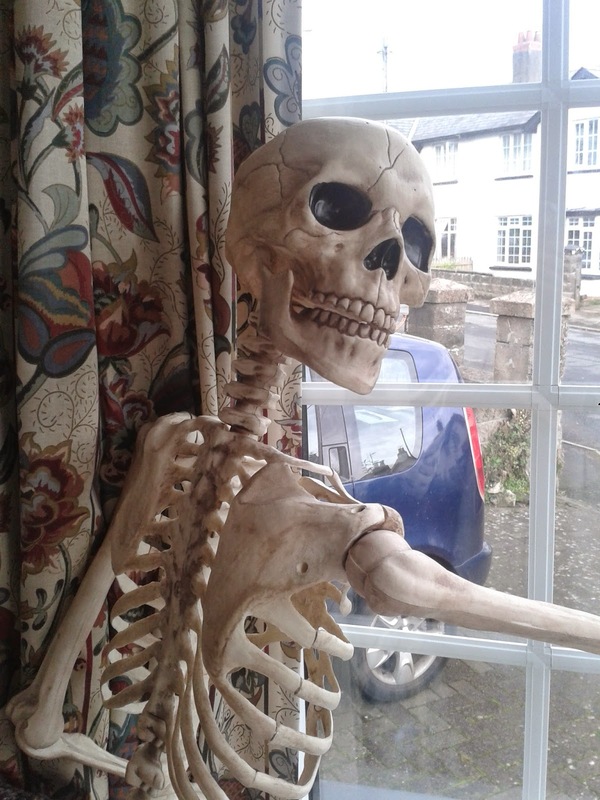 It loses a bit of the effect if you don’t live in a hugely atmospheric ramshackle American mansion so I normally just add an additional pumpkin. 5. Cats – particularly their attitude (often very bad, as far as I can see). My last cat, Samson, was a rescue cat – vastly overweight and terrified of the outdoors. He would only eat Felix, occasionally deign to try a freshly cooked fish finger and spend most of the day annoying the Husband by trying to sit on his computer keyboard. He would also join in with conference calls, once howling so loudly during a call to the head office in Canada that a colleague asked where the cat was. I have no idea whether Samson’s contribution to the meeting was minuted. 6. Red Wine – they say that the mystic compound it contains (resveratrol) has anti ageing properties and, in his book on heart health, Christiaan Barnard, the South African surgeon who carried out the first heart transplant in 1967, recommended a glass of red wine a day. 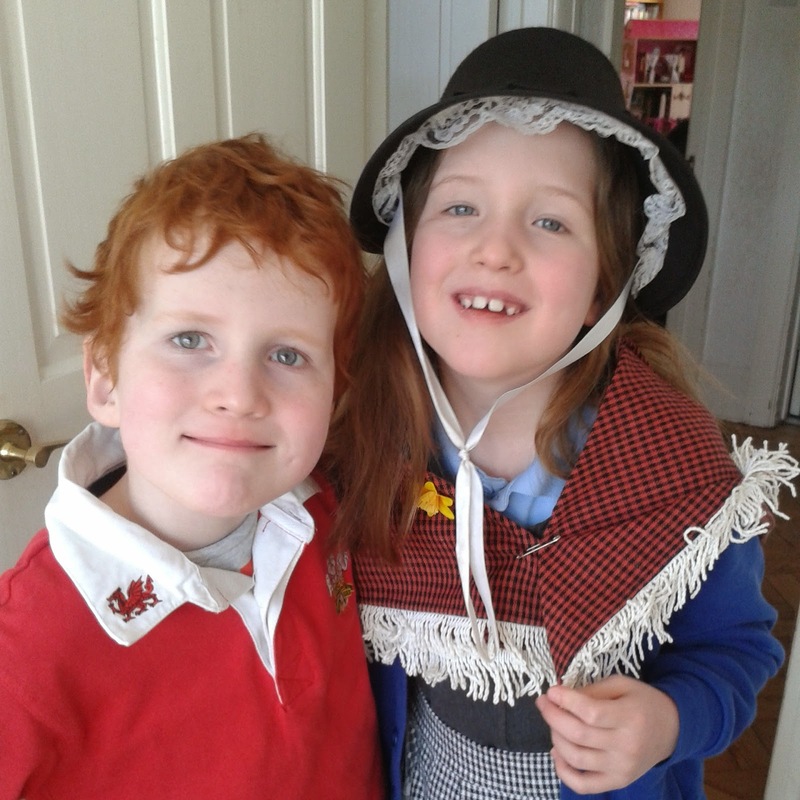 We try to be good in this house by having the statutory two days off (minimum) per week, having been thoroughly terrified by the Health section in the Daily Mail – which leads me to…. 7. The Daily Mail – particularly the Mail Online. Especially the comments – which often resemble the letters sent to Private Eye, and frequently Viz. Nobody does outrage like us Brits. In fact you can tell when the online editorial team are having a slack day because they’ll post a piece about parent & toddler car spaces in supermarkets, immigration, or the property market just to wind everybody up. If it’s a really slow day of course, they will just post another picture of Kim Kardashian’s bottom. It is de rigeur to always insert the following into any online comment you make – “yes but how much is their house worth?”. Please don’t let the side down. 8. Peanut Butter – the ultimate comfort food – straight from the spoon or in a sarnie. The Husband is scandalised that I will butter the bread and then put the peanut butter on. 9. Halloween – I love Halloween. The dressing up, the excuse to put fake spiders webs all over the house just to annoy the already existing spiders and their webs, scaring the kids, playing spooky sound effects and eating food which features jelly snakes and chocolate eyeballs. I love the traditions – I think there’s an odd one about peeling an apple so that the skin comes off in one go, throwing it on the floor to see what letter shape it makes and that will be the initial of your future husband. Apparently I should have married someone called Xavier or Zachary. Whoops. 10. Christmas – I love that everyone is in a good mood from, roughly, early September onwards. I don’t like shops playing carols then. but as soon as the clocks go back and Bonfire night is out of the way, the twinkly lights start appearing and the December editions of the women’s magazines feature groaning mounds of immaculately photographed food, it is quite alright in my book to hear “Fairytale of New York” on repeat. I love the whole Festive Season with the exception of wrapping presents. I can only wrap square things. You are unlikely to receive an umbrella or a tennis racquet from me. 11. Comping – entering competitions is definitely a favourite hobby of mine and I have won a fair bit over the years I have been comping (since 2010). I have won hotel stays, spa days, an entire kitchen of electrical gadgets, shoes, clothes, perfume, toys – you name it, we’ve enjoyed it. Like anything, you need to put the work in to see the rewards, though. I am always amused when friends give comping a go, enter five competitions and then moan that they ‘never win anything’! 12. John Lewis – I could spend hours in John Lewis, fondling the crockery, plumping the cushions and daydreaming in the espresso bar. Our local store in Cardiff has a wall of clocks which Ieuan loves to visit and their 3rd floor cafe was one of the first places we were brave enough to take the kids to eat. The staff all look happy and are really helpful. It’s like entering some sort of parallel retail reality. Which works. 13. Poirot (starring David Suchet) – I adore Agatha Christie. Her Poirot short stories are almost forensic in their execution – each perfectly formed logic puzzles. You could argue that her character development is occasionally thin on the ground but her stories are so clever it is very easy to overlook this. 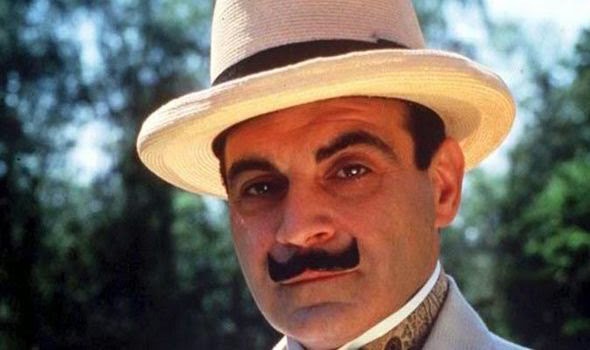 David Suchet will always be the definitive Poirot for me as he brings out the character’s OCD tendencies superbly. In the same way, the late Joan Hickson will always be “Miss Marple” to me as she made the character slightly annoying in the way that some old ladies can be, rather than some of the later, more saccharine portrayals. 14. Art Deco – you can keep minimalism, any sort of “industrial” installation and red brick. No, give me the white beauty of an Art Deco house (and preferably afternoon tea at Claridges). If Kirsty and Phil want to find me a nice one in the Vale of Glamorgan, that’s fine by me – although the Husband has an irrational fear of the kind of manly jumpers which Phil insists on wearing. 15. 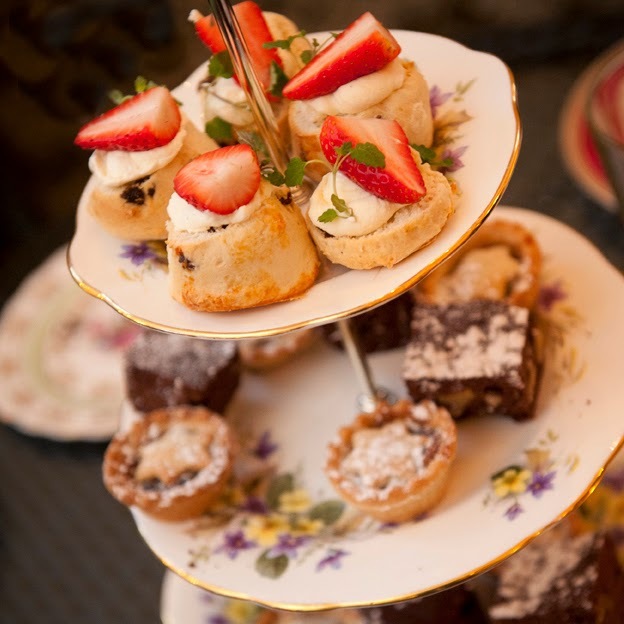 Cake Stands – there is nothing like a beautifully ornamental three tier cake stand full of cupcakes and dainty pastries. And a large pot of good strong tea. Needless to say, these are best served in a nice hotel, lest the Husband starts thinking I’ve gone a bit “Hyacinth Bouquet”. I fear it may already be too late. 16. Reality TV – leaving aside the fact that it is very difficult to avoid it when switching the TV on, I have to confess a shameful and guilty pleasure in watching programmes like Big Brother and I’m A Celebrity. My argument that these are clearly “social experiments examining human interaction” really doesn’t wash with the Husband who generally sits through them with me whilst wearing the expression of a stunned mullet. Curiously he generally has an almost 100% recall of who was doing what to whom and why. I never a clue. Largely because I haven’t put my hearing aids in. 17. 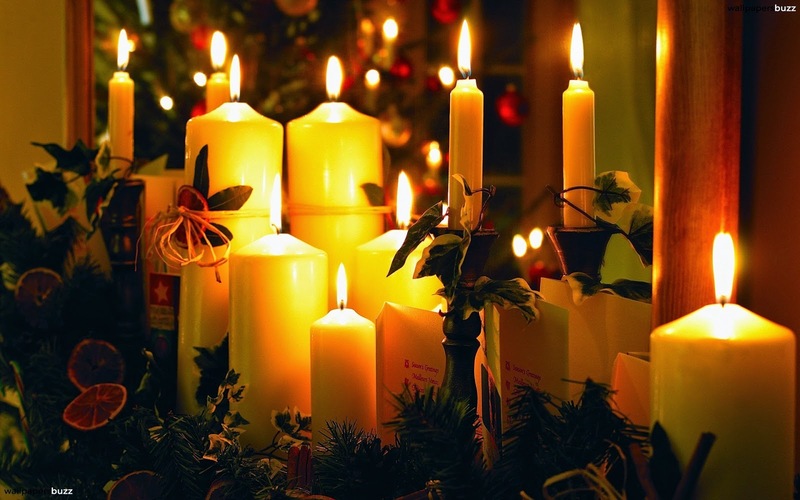 Candles – I bought a Yankee Candle advent calendar last Christmas and spent a happy December lighting a new candle each day. There is nothing more romantic than candlelight (although I’m very fond of fairy lights too). At the end of the day, there’s something relaxing about lighting a candle and breathing in the scent you have chosen to remind you of your home. My parents view this as thinly veiled pyromania. I call it “creating an atmosphere”. 18. Faux Fur – what’s not to love. Cuddly softness which hasn’t hurt an animal and which encourages extra snuggles from the kids. I found a fabulous faux fur jacket at TK Maxx which makes me feel strangely powerful. If you want to channel your inner Joan Collins, a bit of faux fur never hurts. And lets face it, you’d never argue with Joan, would you? 19. Fitflops – since I left my marketing job in 2007, my ability to wear heels has vanished, largely because I have lived in either Fitflop sandals or their version of the Ugg boot. They are supremely comfortable, tone your legs and, best of all, you can run in them. I say run. Actually I mean lumber indelicately after the kids whilst bawling “come back here you little pair of menaces”. 20. Family – I love them all dearly; my daughter (who thinks she’s a puppy), my son (who think’s he’s Spiderman) and the rest of our mad family unit who give me endless support and keep me sane (ish). They are all, to quote the great philosopher Peter Andre, slightly “insania”. Where would I be without them? Somewhere on a beach in the Maldives with Daniel Craig, that’s where. Don’t forget to “embrace happy” today! "Review: Glossybox March 2015 Edition"
I love your list of happy things! My fav is entry is number 11! Comping! i have also been entering competitions for years. Its such a rewarding hobby and keeps my family very amused with all my parcels constantly showing up! I know – I love comping. You never know what you're going to win next – I use it for family treats, that kind of thing. Would never comp for stuff I don't need though, like prams and pushchairs. I think there are loads more compers these days – and it's a bit tougher to win. Well this is awkward. I think i might actually be your ACTUAL TWIN! I was dragged into this post by that fab pic of Prince George and now it looks like i've stumbled across my soul mate! Of your list here are the ones i wholeheartedly agree with: 1/5/6/7 (sssssh and only the sidebar of shame…not the actual features or anything!) 8/9//10/11/12/13/14/16/17 (but not Yankee…too sweet for me. I like The White Company, Jo Malone or Diqtique. But i only get about one a year for a present from my whole family because they are SO expensive!) 18.19/20. Hooray! Needlesstosay….i loved this post.